Since these two SEO games came out, there has been many more following the trend of making themed games around the search community. I've skipped and have not covered many of them but I am going to cover the Whack A Cutts game because - well, there are a lot of frustrated SEOs out there and this might help relieve some of the frustration. 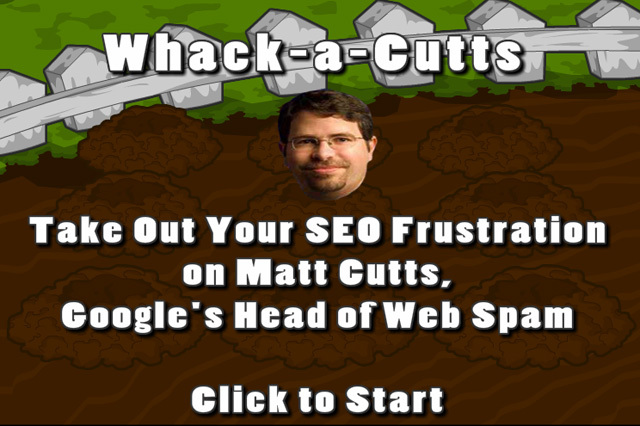 It is a basic game where Matt Cutts taunts you with SEO stories and then you whack his head, like the Whac-A-Mole game. You gain points for whacking him. Poor Matt but I bet he gets a kick out of these things. @StevenWeldler I scored 2760; how did you do?